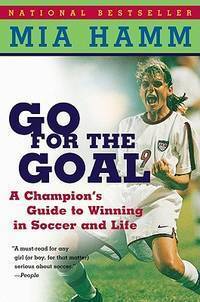 From Go For the Goal to Go For the Goal a Champion's Guide To Winning In Soccer and Life, from	League Football to The World Game Comes To South Africa, we can help you find the soccer books you are looking for. As the world's largest independent marketplace for new, used and rare books, you always get the best in service and value when you buy from Biblio.com, and all of your purchases are backed by our return guarantee. Quivertree Publications, 2010. First Edition. Hardcover. As New/As New. the jacket is a little shelf rubbed but it is un-torn and attractive and presents beautifully in cellophane. the book has no inscriptions, is well bound and appears new. Birkenhead: Countyvise,. Paperback. 77pp. Novel about the origins of Everton football club. 4 black and white photographs. Light crease across one corner. Very good copy. . Paperback. 1998. United States Naval Institute. Very Good in Poor dust jacket. 1943. First Edition. Hardcover. Worn, torn and chipped DJ in mylar. Owner's name at top of inside front cover and verso of the first endpaper. Bookplate on the verso of the first endpaper. ; 8vo 8" - 9" tall; 182 pages . Alan Ball, 1978. Possibly a 'pre-first edition' copy published by the author. Rear of title page states 'Printed and bound in Great Britain by UPS Blackburn Ltd, Northgate, Blackburn, Lancs for Alan Ball'. Signed 'Best wishes Alan Ball' on half-title page. No other inscriptions or marks. Tiny crease to upper corner of rear cover, none to front, creasing to spine. A very clean very tight copy with bright unmarked boards, slight marking to page edges and no bumping to corners. 191pp. Autobiography by one of England's most dynamic footballers, Alan Ball was the midfielder powerhouse in England's World Cup winning team.. Signed by Author. Soft Cover. Very Good. 8.25 x 5.75 inches. Mexico: 1988. 94 cm. x 69 cm. Actual display poster for the movie. Folded with signs of use, mainly on the edges. Se trata de un cartel de mostrar real de la película. Se doble con signos de uso, principalmente en los bordes. Dublin University Football Club, 1973. Hardcover. Very Good/No Jacket. The boards are a bit marked and worn. Minor insect gnawing to the ffep. Slight foxing to some pages. Soundly bound. New York: Funk & Wagnalls, 1967. Fine/Very Good. First edition. A fine copy in a very good plus dustwrapper with some scraping on the front panel. New York: Grosset & Dunlap, 1967. Fine/Fine. First edition. Introduction by Sir Stanley Rous. Fine in a very nearly fine dustwrapper with a touch of wear.